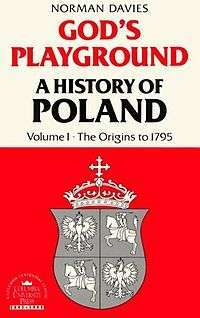 God's Playground is a book written in 1979 by Norman Davies, covering the history of Poland. Davies was inspired to the title by Jan Kochanowski's 1580s Boże igrzysko (Mankind: Bauble of the Gods). The book (or two, as many editions are split into two volumes) has received good reviews in international press and is considered by many historians and other scholars to be one of the best English-language books on the subject of history of Poland. The author received several Polish honours.